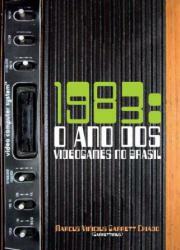 I'm the editor of a Brazilian electronic magazine, "Jogos 80", on Retrogaming. We've published 10 issues so far since 2004 and we're mostly focused on the classic consoles (Atari, Odyssey, Intellivision & ColecoVision) and classic microcomputers such as the Apple II, the Commodore 64 and the British computers (ZX Spectrum, BBC Micro etc). "Unfortunately", the magazine is in Portuguese. 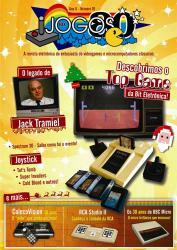 The current issue features one of the first Atari 2600 clones made in Brazil, the mega rare "Top Game". 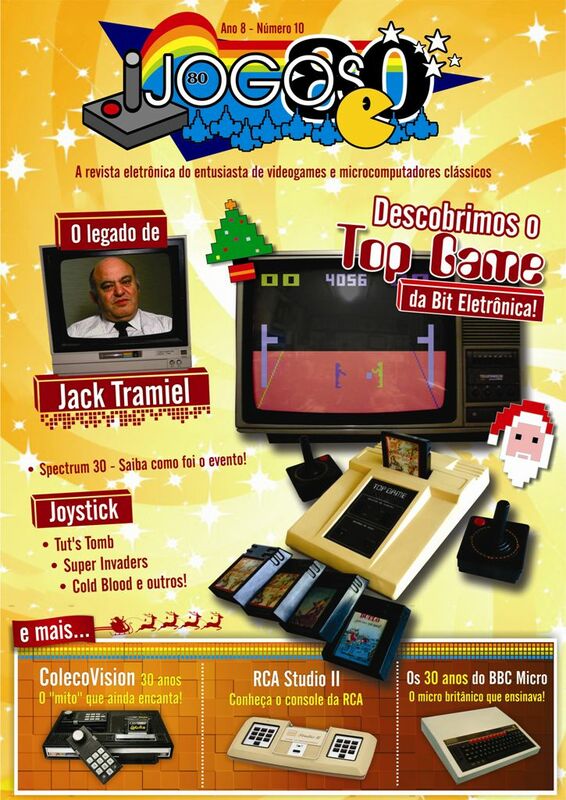 Also, recently I wrote two books on the history of the early video games in Brazil. 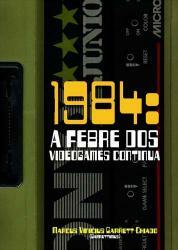 They're called "1983: The Year of Video Games in Brazil" and "1984: The Video Games Fever Continues". They are focused on the early video game consoles such as the Atari 2600, the Odyssey^2, the Intellivision and the ColecoVision in either official or unofficial (clone systems) machines. Also they're highly illustrated. They're in Portuguese, but I'm seriously considering a translation into English to sell them abroad in digital form. Would you guys be willing to buy the books in digital form for, say, 5 to 10 dollars? While the world was enraptured with the music of Michael Jackson and the Cold War was still a reality, Brazil was going through a period of extreme economic uncertainty in what would be the final phase of a military dictatorship. The increase in the budget deficit caused by rising international interest rates and the subsequent growth of external debt led to macroeconomic imbalances which made inflation unbearable. In the eighties, the Brazilian economy faced a downturn unparalleled in its history. In the context of the electronics business, already weakened because of the conditions in the country, there existed a policy known as “Reserva de Mercado” – Market Reserve. To "protect" the local market from foreign interference, the policy prohibited foreign companies from entering Brazil and disallowed the importation of any computer-related products. Concurrently, the government imposed a centralization of foreign exchange by the Central Bank, which meant that a company could only do business if the government authorized the transaction. The Market Reserve, which has changed in the seven years that it existed, eventually opened a loophole that Brazilian companies exploited. Companies would copy original, imported equipment by adapting it to the local market; they would change the products' names and then release them without paying royalties to the owners. 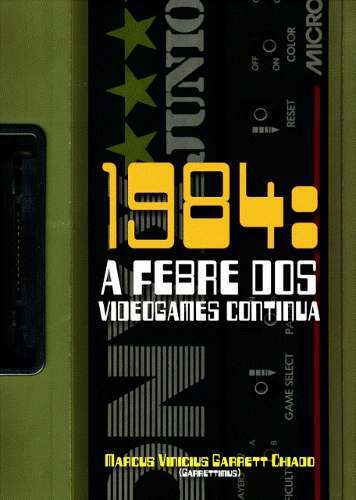 The Market Reserve leveraged the release of the first video games in Brazil. In fact, the country began to see the first consoles in the second half of the 70s, which arrived through smuggling, international travel and localized sales at the so-called “Zona Franca de Manaus”, a famous free trade port. In 1977, Philco-Ford, a department of the Ford company that manufactured radios for cars alongside other electronics, launched the Telejogo, which was nothing more than a replica of the famous Home Pong and other similar Pong-like games that were already successful abroad. The Telejogo, though itself shy of success, paved the way for the arrival of video games on cartridges and the devices that would play them. The arrival of the first official, licensed videogame happened in May of 1983, when the Odyssey² was released by Philips just as the Odyssey. The company came up with an aggressive marketing campaign, including television, newspaper and magazine ads. Philips's bet was Odyssey's alphanumeric keypad; besides giving Odyssey a computer look, the Keypad added features that weren't present, for example, in the Atari 2600. The Odyssey boasted greater integration between the user and the game, allowing one to insert words and manipulate characters onscreen. The manufacture of cartridges nationwide, "protected" by the Market Reserve, also started; however, producing cartridges at the time was laborious and expensive. The companies needed to extract the game programs from the original ROMs (chips in which the games were recorded), store them elsewhere and then rewrite them in EPROMs, a slow process due to the limitations of EPROM recorders in use in Brazil. Some small companies disregarded U.S. copyrights and began to unofficially manufacture these clone cartridges for the Atari 2600 system. While this was happening, the Warner Communications conglomerate, owner of the Atari brand, signed an agreement with the “Grupo IGB” (IGB Group), led by Brazilian businessman Eugênio Staub, which in turn owned the Gradiente and Polyvox brands. Warner would have the chance to give an extended life to the 2600, a product that began to agonize in the United States, and Polyvox would have exclusivity on the Atari branded products in the country. The official Atari 2600 was released near the Children's Day holiday in October, also with a very aggressive marketing campaign, and was a complete success. Christmas sales were unbelievable too. 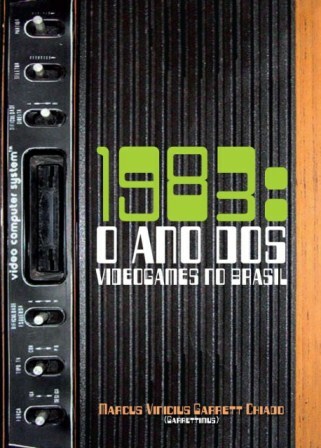 Other Brazilian companies, also supported by the Market Reserve, launched many unauthorized Atari clone systems such as the Dactari, the Dynavision, the Onyx Junior and the Supergame. In Brazil, Mattel was also interested in what was happening in the novel market for consoles. After probing the country, the company signed an agreement with the Brazilian branch of Sharp in mid-1983. The subsidiary Digimed was created solely for the release of the official Intellivision system. The idea was not necessarily to compete directly with other manufacturers, but rather to tap a demographic dissatisfied with other brands, a more adult audience. As a result, the Intellivision was also released in 1983, but was less successful than the 2600. After the arrival of the consoles that excited the video game market in 1983, the country has seen many releases throughout the years, some official and some not, for various consoles, including the NES, the Master System, the Genesis/Mega Drive, and the Super NES. The truth is that the Brazilian people, besides their notorious passion for Football, ended up falling in love with video game consoles and the world of dreams in which they immerse the player. Got me a cib 1984 Vader 2600 set with Poster.